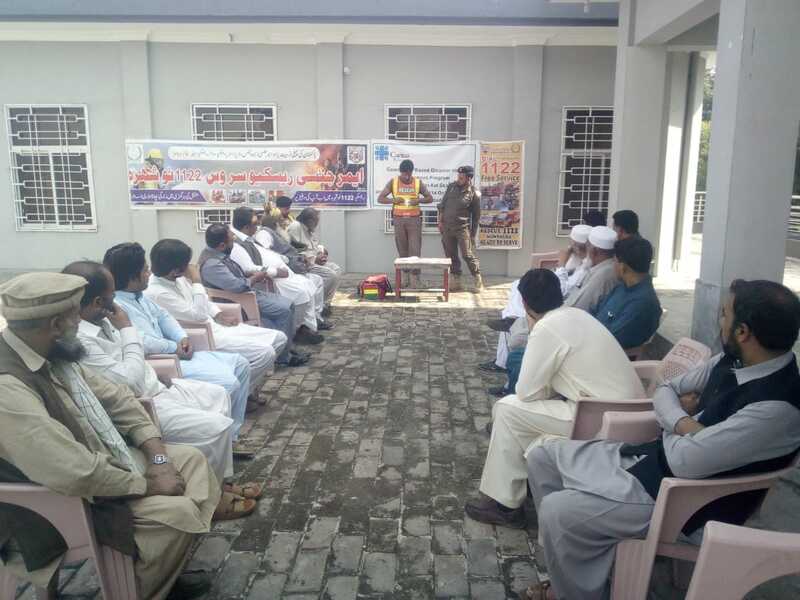 A mass scale awareness meeting was conducted with 26 participants from villages Dhobi Ghat and Khawas Khan at Shanawas Khan Village HujraShakir mama. 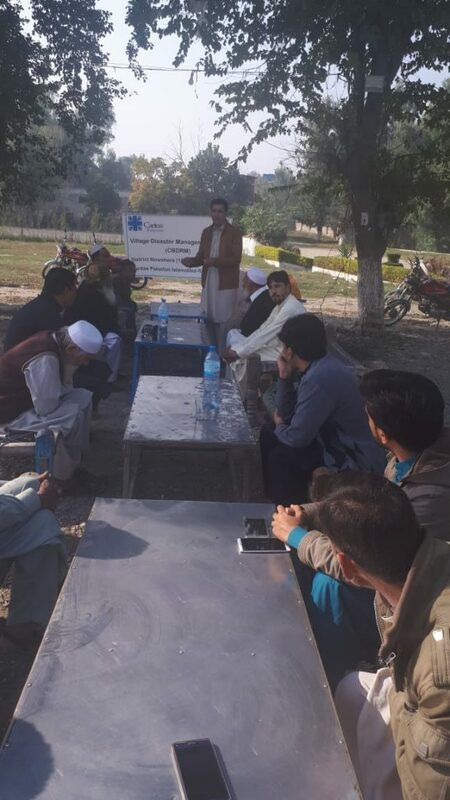 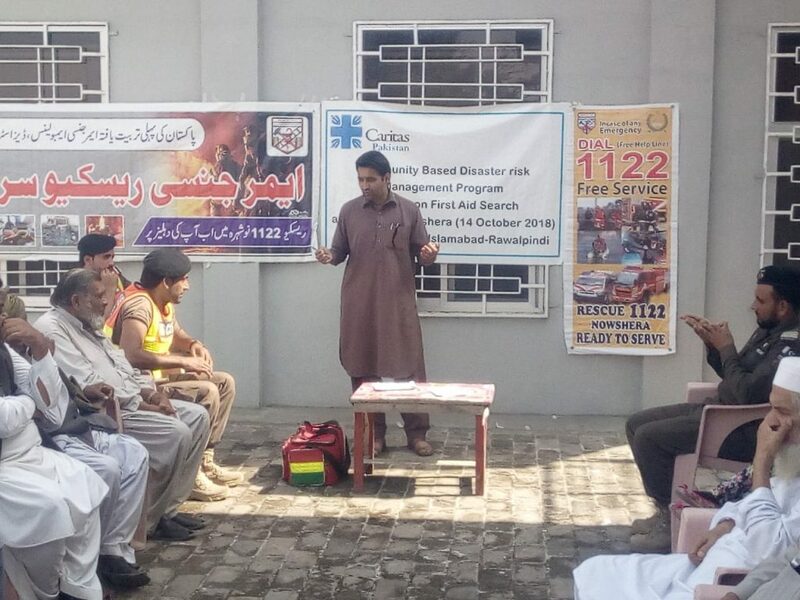 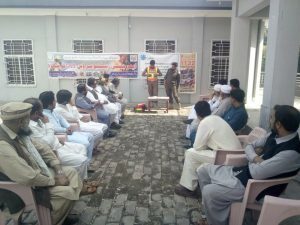 Two disaster management committees (DMCs) from two villages attended a session on emergency response at Hujra Sher Alam village Torlandi with 23 participants. 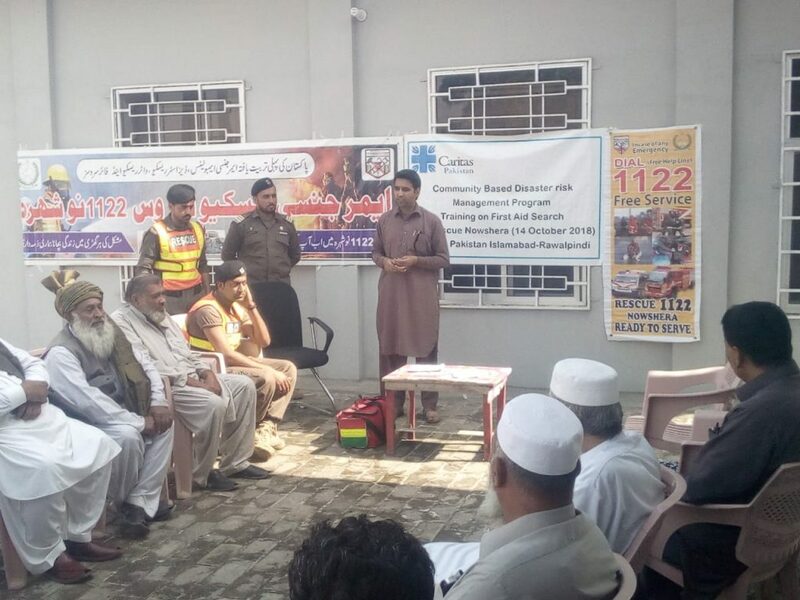 The purpose was to provide knowledge on disaster preparedness while describing the roles and responsibilities of DMCs members. 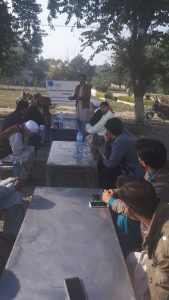 The techniques of mitigating the danger of disaster and building resilience of the communities were also discussed with the participants. 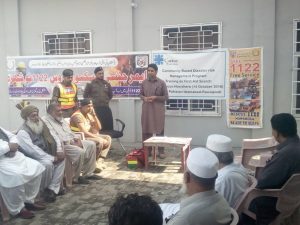 The main objectives of awareness sessions were to aware people on large scale about disaster risk reduction and encourage people to show maximum active participation in our initiatives. 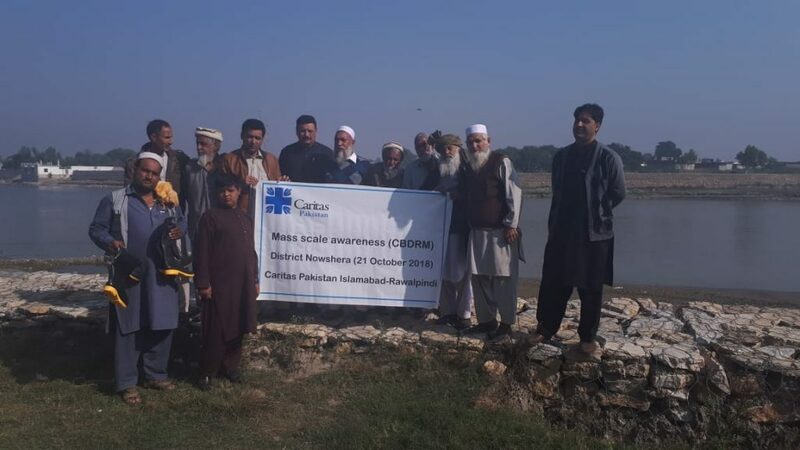 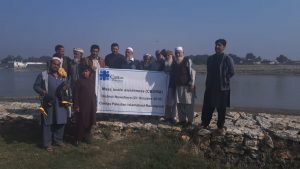 Resource person Ahmed Ali from Caritas Pakistan Islamabad-Rawalpindi also mentioned about few government departments & organizations who are actively taking part in our CBDRM initiatives during these sessions.